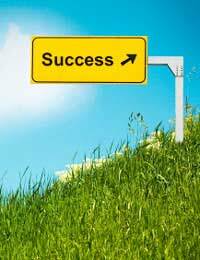 Before you can hope to be able to measure the success of your small business, you must set out what “success” means. You need to examine why you founded the business, what you hoped to achieve at that time and whether your target has shifted since then. Even if the purpose of your business has changed since you established it, you should be following a business plan. This plan should state, in measurable terms, what your small business is striving to achieve. By comparing your actual success against the objectives you have set in your business plan, you should get an accurate picture of your business’s success. It is important when you write any sort of business plan to ensure that it clearly states your business objectives, and does so in a way that makes it easy for you to measure progress against them. For example, it is not sufficient to state targets of “increase brand awareness” or “make a profit”; instead, you need to set firm targets such as “40% of consumers should associate Green Fingers Tools with garden sheds” or “make a profit of £100,000 on a turnover of £350,000 in the first year”. Progress against clear objectives such as these is easy to measure by using market research and the business’s financial figures. Profit isn’t the only yardstick for success, even in a business that has been set up primarily to make money. Perhaps it’s necessary to suffer a small loss while buying market share in order to ensure a more prosperous future. More generally, the metrics you choose to measure are not necessarily linear, and you must take this into account when comparing them against your target figures. Individual aspects of your business can be measured separately. For example, the efficacy of a marketing campaign may be judged on its own terms: perhaps it was designed to build brand awareness, rather than being expected to have an immediate impact on the profitability of the company. By measuring the success of your business numerically, you may be able to project the figures into the future to see what will happen if your business continues to grow at the same rate. Of course, this can only be a broad generalisation. You won’t typically be able to take into account external factors and a varying rate of growth, but such a projection can still be useful in providing you a snapshot of the most likely situation your business will be in at some point of interest in the future. In summary, there are several stages that you need to go through to be able to measure the success of your small business. First, you need to decide on clear and meaningful metrics against which success will be measured, and record these as objectives in your business plan. Next, whenever you want to take a snapshot of your business’s success, you must conduct market research or otherwise calculate the financial figures you need to compare with your chosen targets. Your final step, if it is useful to do so, is to project those figures forwards in order to get a feel for how your business will look in the future, or when you can expect unfulfilled targets to be completed.